11 Things You Gotta Do in Bucks County this Weekend! If you’re in need of some Oktoberfest food, Newportville Inn is one of the places to go this weekend. Their German celebration continues through October 21 every day at the inn from 3 – 11 pm. The beautiful Elephant Walk Farm in Perkasie is ready for the fall harvest, and you get to reap the benefits. This Friday, sip seasonal craft beers and tasty harvest foods and desserts prepared and served by B&B Beverages and Memorable Affairs Catering. While you eat and drink, listen to music, participate in a silent auction, and check out raffles. Additional wine and soft drinks are available, so there’s certainly something for everyone. Plus, you can walk away with a pint glass to remember the night. Buy your tickets at peacevalleynaturecenter.org. Remember: pop-ups are never around for too long! The same goes for Saturday’s pop-up cafe at The Yellow Door in Doylestown. Coffee is served by Jack and sweet treats from Gracie. The coffee and sweets are free, that’s the best part. Even better? All of the tips go towards relief from Hurricane Irma in Florida. Check it out from 9 am – 12 pm. Wilkommen! Get a taste for German culture with Oktoberfest at Harvest Days. Sip on Round Guys beer at the first ever beer garden of Bucks County Gardens, dine on German fare from Devil’s Acre Tavern on Saturday, or the Flying Deutschman Food Truck on Sunday. Listen to music, and enjoy other Harvest Days activities as well, like the hayrides, corn maze, pumpkins, and more. Some tickets are required for part of the Oktoberfest fun, so check out Bucks County Gardens on Facebook for more information. There’s really nothing like a farm fresh apple. The crunch, the taste, the color — it’s one of the reasons why Bucks County is so wonderful. Tabora Farms knows all about apples, which is why they’re throwing an apple festival this Saturday and Sunday. It’s a weekend filled with live music, apple picking, crafts for the kids, wagon rides, sandbox fun, plus, the BIG apple sale. Apples are only $0.69/lb. How about them apples? No admission fee, see Tabora Farms’ Facebook page for more information. Fall is not complete without a festival to relish in all the changes (the leaves, the temperatures, the food!). Froehlich’s Farm is kicking off the new season with its annual farm fall festival, right there on the farm on Saturday and Sunday from 10 am – 4 pm, and throughout the month of October. Here’s what you can do: pick pumpkins from the patch, take a hayride through the farm, build your own scarecrow, sit by the bonfire, roast some s’mores, and eat some tasty food. There are other special events happening this year, so check out the farm’s website for more information. Calling all grape pickers! It’s time for harvesting down at Wycombe Vineyards. Those who lend a helping hand get a free glass of wine and lunch. There are lots of grapes, so if you can’t come yourself, tell a friend. To pick grapes, please bring kitchen scissors or shears, garden gloves, a lawn chair, sun protective hat and sunscreen. Beware of the bees and yellow jackets! If you are allergic, it’s probably best you avoid picking since there is a chance of getting stung. Also, refrain from wearing perfume or cologne — bees like that smell, too. Join Sister Cities Food & Shop Tours as they kick off the fall season with an exciting tour around Lambertville, NJ and New Hope, PA, where food, drinks and treasures are waiting to be discovered. At 11:30 am, start out with some sandwich tastings over at City Market of Lambertville with Donna and her crew. Next, stroll over to Hamilton’s Grill Room and have a sampling of their lunch menu (they are BYO so the tour will be sure to have some wine on hand for those who wish to indulge). Afterwards, walk canal-side over to The Bar at the Lambertville House where they specialize in cheese pairings. Then, it is over the bridge to take in the views of the Delaware and have a brewery tour of Triumph Brewing Company of New Hope. The grand finale will include a stop over at the The Pup Club of New Hope where they will provide guests with coffee, light dessert and allow you time to digest while you look around their unique pet boutique. For more information, check out the homegrown tour agency and their website here. If you haven’t noticed, there are fall festivals all over Bucks County this weekend. 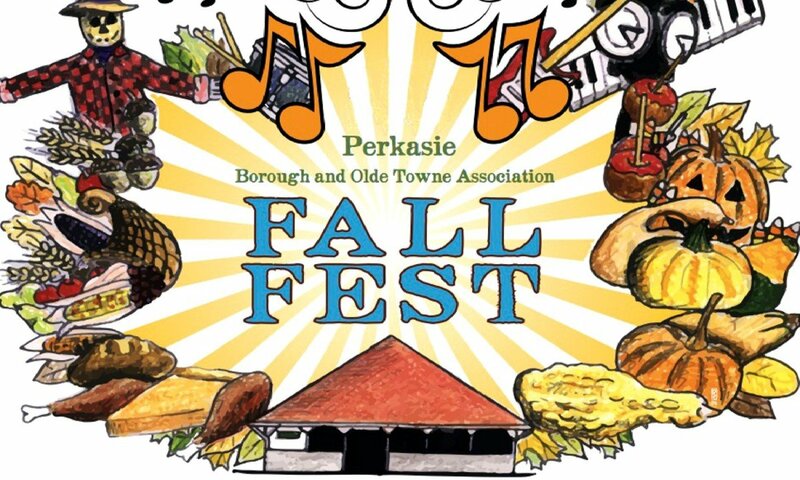 Perkasie is no exception; this weekend is the town’s fall festival, with more artisans and vendors, local musicians and entertainers, food and raffles, pumpkin decorating, petting zoos and pony rides, and a pie eating contest. A free trolley shuttle connects the two locations of the festival. Oktoberfest is still going strong this weekend, especially at the Rising Sun Inn in Telford, PA. Their celebration at the barn includes festive long tables, mimicking the beer tents of Munich, Germany. It’s going to be one authentic Oktoberfest feast! The inn is serving up an all-you-can-eat buffet of traditional German fare for lunch (12 – 3 pm) and dinner (5 – 8 pm). Start with appetizers like lentil frankfurter soup, German potato salad, assorted pretzels and breads. Save room for Sauerbraten and sweet red cabbage, Black Forest roast pork and Sauerkraut, Wiener schnitzel over buttery spaetzle noodles, and more! You’ll have to try dessert too, like black forest cake, German apple cake, linzer torte and honey almond bee-sting cake. Also included is a sample tasting of a variety of authentic German draft beers (would it really be Oktoberfest without the beer?!). Or, buy half liters of beer for $7, and check out the cash bar, too. Tickets for the full event and buffet is $25, but gratuity is not included. For a full listing of farmers markets in Bucks County and nearby, CLICK HERE. October is here, but your favorite late-summer/early fall produce won’t be available forever! Besides the apples, at most markets, you’ll find: cantaloupe, corn, watermelon, lettuce, lettuce mix, tomatoes, peppers, kale, potatoes, kohlrabi, eggs, steak, beef, chicken, pork, bread, dog treats, peaches, flowers, soap, pickles, jams, gluten-free baked goods and coffee. Check out our full list of farmers markets scattered around Bucks County (with some in Montgomery and Hunterdon County too). The Wrightstown Farmers Market: The recent summer weather means veggies such as tomatoes, peppers, eggplant and green beans are still available, so come get your share before it ends! Among the other delicious fruits and veggies available now are apples – Honey Crisp are here, pears, multiple varieties of winter squash, sweet corn, cabbage, kale, bok choy, beets, turnips and radishes. The Perkasie Farmers Market has baked goods, veggies, fruits, treats, preserves, and more. This weekend, Essential Sower Soap Co. is debuting their charcoal soap.